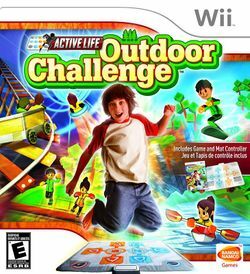 Active Life: Outdoor Challenge (Family Trainer: Athletic World in Japan and Family Trainer in Europe) is a video game for the Wii produced by Namco Bandai. Players use a mat similar to the Power Pad in conjunction with the Wii remote in order to complete a variety of mini-games. The game is comparable to Wii Fit. As of January 30, 2009, the game has sold one million copies worldwide.